This Christmas we decided not to be lazy and just buy a bottle for the booze lover on our list. Oh no we thought, we’ll search high and low for things that are a bit special. Plus we would choose presents we really want ourselves. So here’s our round up of stuff that we at Gintime would like to see in our stockings this year. The Savoy’s Beaufort Bar’s Limited Edition Pop-up Menu. Spectacularly designed and beautifully illustrated this limited edition piece features illustrations by Joe Wilson painstakingly cut by Helen Friel. 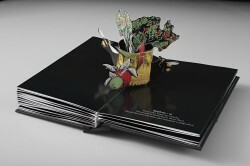 There are only 1000 copies and each numbered edition can be bought for £50 from Savoy Tea or the Beaufort Bar itself, Strand, Savoy Way, London WC2R 0EU, United Kingdom. We want. Christmas Pudding Gin made from Ian Hart’s Great Aunt Nellie’s recipe, steamed for 8 hours and then macerated with English grain spirit and juniper berries, then redistilled. 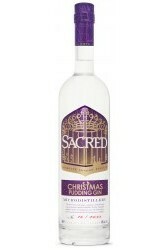 If you can’t wait until Christmas Day it also makes a lovely festive G&T. 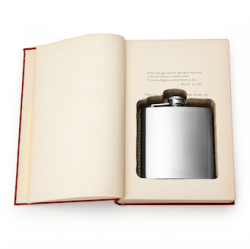 Think Prohibition-era hidey-holes and you’ll love this boozy book made from reclaimed library books. Inside there’s a hollowed out space for the included pocket flask. Impress with a pitcher of Martinis that have been created by cocktail maestro Ryan Chetiyawardana (aka Mr. Lyan) himself It’s made from Mr. Lyan’s own gin, a crisp vermouth plus olive and lemon peel distillates. RTDs go to heaven we think. Obviously the gift du jour that no home should be without. 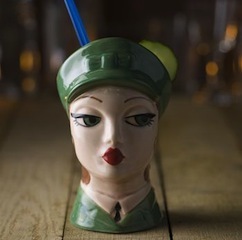 Comes with its own smart gift box this funky mug is perfect for hot gin punch or any other gin cocktail. Chocolate and gin, what’s not to like. 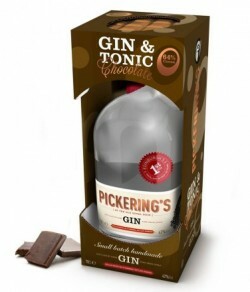 Especially when the chocolate is infused with lovely Pickering’s Gin. 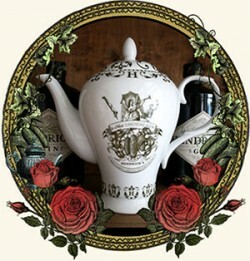 Of course it can be used for tea but the specially designed Hendrick’s Teapot is ideal for cocktails and comes complete with a selection of sublime cocktail recipes, created by Hendrick’s British Ambassador, Duncan McRae. 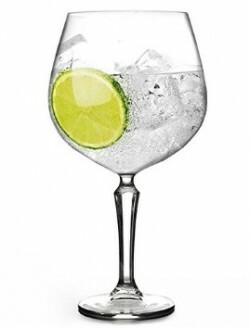 These Spanish style copa de balon type glasses allow you to serve your favourite G and T the modern way with loads of ice and different types of garnish. They make a great gift. We can’t think of anything nicer to do in 2015 than to make a pilgrimage to the West Country to visit the two hundred year old home of Plymouth Gin at the Blackfriars Distillery in Plymouth. And spending two and a half hours learning the secrets of gin with Master Distiller Sean Harrison is every gin lover’s dream.